Just then there was a splintering crack, and the ceiling tore open. An enormous foot descended into the mansion. The foot was covered in thick, bristly hair, and it was filthy. The terrified servants scrambled to gather buckets, water, and rags. They washed the foot until it was thoroughly clean. Afterwards, the giant foot ascended up through the roof and disappeared. The following night, and every night thereafter, the same thing occurred. A booming voice would demand its foot be washed. A giant foot would crash through the roof. And the dutiful servants would wash it clean. A few nights of this was all that Aji no Kyūnosuke could take. He ordered his servants not to wash the foot anymore. That night, the foot crashed through the ceiling and demanded to be washed as usual. When it was ignored, it thrashed around violently, destroying vast swaths of the mansion’s roof in the process. Kyūnosuke complained to his friends about the nightly visitor and the destruction it was causing. They were very interested. One of them wanted to witness the event so badly that he offered to swap mansions with Kyūnosuke, and Kyūnosuke quickly agreed. 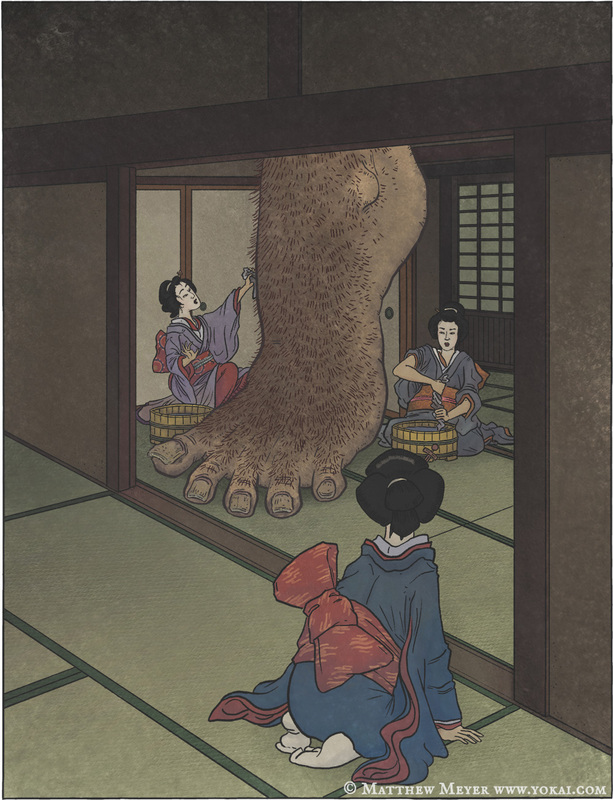 However, after his friend moved in, the giant foot never appeared again. There’s no definite conclusion as to what caused this strange occurrence. It’s often blamed on a mischievous tanuki, for they have magical powers and they love playing tricks on people. On the other hand, “washing your feet” is also a Japanese idiom for rehabilitating a criminal. A culprit whose “feet have been washed” can be said to have paid his debt to society. 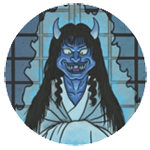 One interpretation of this story might be that Aji no Kyūnosuke was doing something illegal, and this yōkai appeared to punish him.